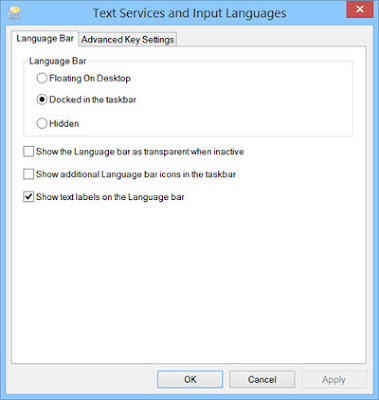 If you select more than one language as the input language, the Language Bar will be displayed either on the taskbar or desktop. I don't want to see Input Indicator/ Language Bar display every time I start my Windows. 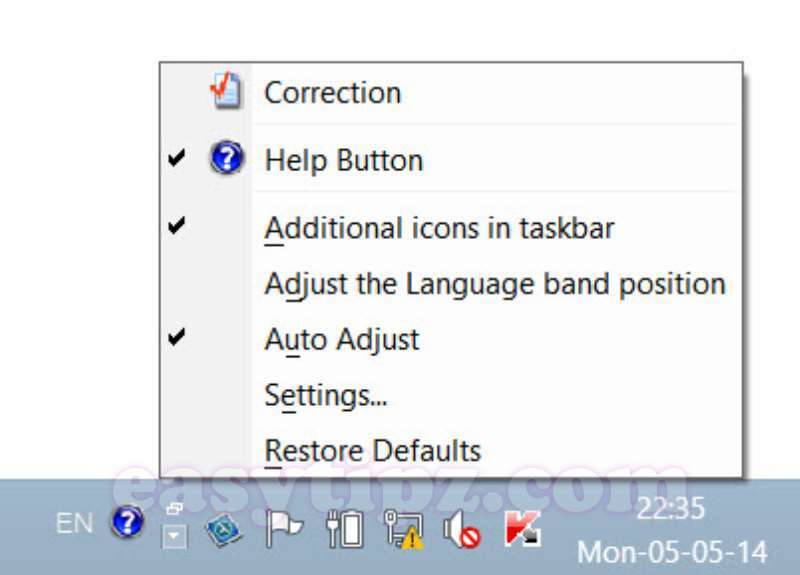 In this article, I will guide you how to Turn On or Turn Off the Input Indicator/ Language Bar in Windows 8.1 or Windows 10. 2. In the Advanced settings window, under Switching inputs method, select Use the desktop language bar when it‘s available. 3. 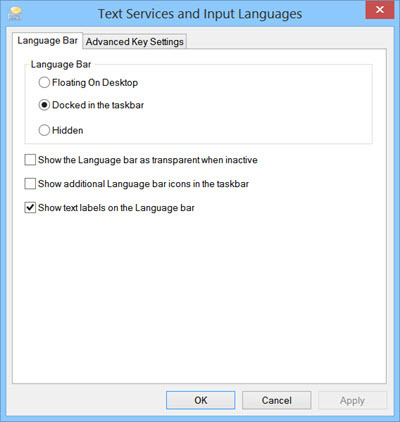 Once you have done step 2, click on the Options link in Switching inputs method to open the Text Services and Input Languages settings box. 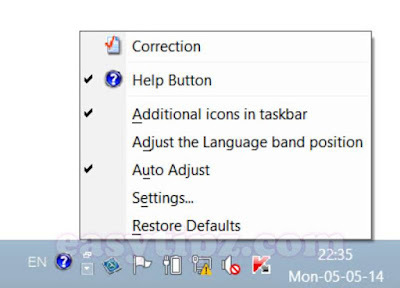 Under the Language Bar tab, select Hidden to hide/ remove/ turn off Language Bar/ Input Indicator in the Windows' desktop and taskbar. 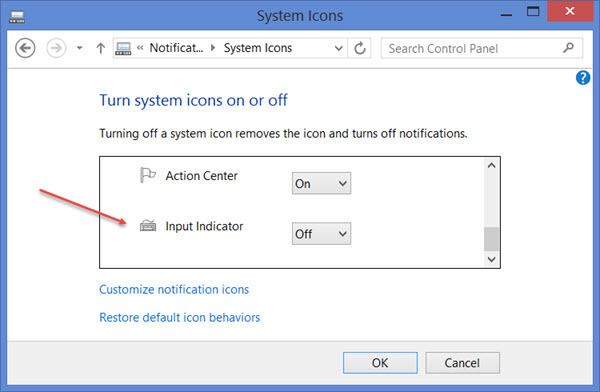 There is another way to do turn on/ turn off Language Bar/ Input Indicator: Right click Taskbar => Properties => Taskbar and Navigation Properties => in the Taskbar tab, click the Notification Area => click Customize button. Next, the window System Icons will be opened, click Turn system icons on or off. Now select the option Off for Input Indicator from the drop down menu. Click OK and Exit. 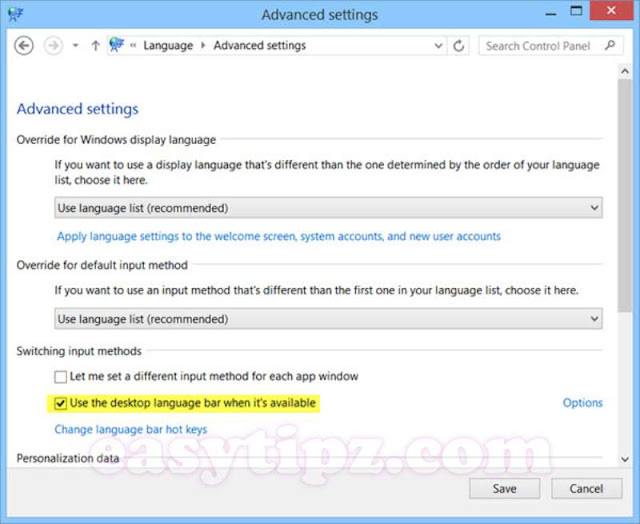 Close the Language bar will not uninstall or remove any languages from your Windows, it only changes the display!